Dems Vow Resistance By Pulling National Guard Off Border, Suing To Remove Razor wire, And A Counter-Security Rally To Open Border Wide! President Trump held an immigration rally in El Paso, Texas, as talks in Washington appear to have stalled! Democrats have not only proposed giving either very little to a border wall along the Southern border, but potentially $0 towards a border wall or barrier of some sort! In addition, Democrats have proposed cutting funding to detention facilities designed to hold the illegals, which would lead to the expansion of catch and release, which would put potentially tens of millions of new illegals onto the streets and within communities over the next few years! Not only the President sees border security as a major problem, but immigration experts are now concerned, as Gallup revealed that 1/5 of El Salvadorian residents, which constitutes 19.1% of their population or 1.1 million out of 5.7 million already reside within the United States, some legally, but many illegally! 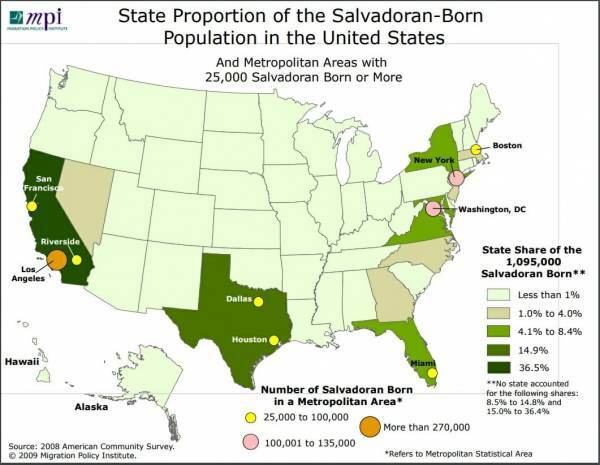 Most of the El Salvadorian residents live within California, Texas came in second, and Florida, Virginia, and New York came in third. Even more frightening, is not even who is already here, but who and how many are coming! Gallup revealed that in addition to the one out of five here from El Salvador alone, FIVE MILLION LATIN AMERICANS PLAN TO RELOCATE TO THE UNITED STATES WITHIN THE NEXT YEAR! They also pointed out that they would utilize Texas owned companies and Texans themselves to build the wall along their southern border with Mexico, since it was money procured from Texan taxpayers! Preference for the contracts and awarding of bids, Biedermann added, “for all phases of construction” would be given to Texans and Texas-owned entities. Reports indicate that Governor Greg Abbott (R-TX) is behind the proposal, as he has been pushing for and in support of President Trump’s America First agenda, as well as, his fight for the security of our nation, including Texas! Even more promising for national security is the growing popularity of the President and especially his agenda! Going into the State of the Union last week, President Donald Trump’s approval rating had hit 48%, according to Rasmussen Reports! However, after reviewing the numbers coming out of the State of the Union, we predicted that it was likely to not only go up, BUT GO UP BIG, AND NOW IT HAS! In addition to instant polls, the President’s approval rating jumped up 7 points in a week to 50% by Friday, and now it has hit 52%! Therefore, the Presidents approval has now gone up 9 points in just a week! However, some in the Democrat Party are continuing to not only push back against border security and the President and his agenda, but they are continuing to use ‘RESISTANCE’, in their quest to unseat him, regardless of the cost! In fact, even last night, as the President held his El Paso, Texas rally for border security only a thousand only feet from the Mexican border, Beto O’Rourke (D-TX), who failed to unseat Senator Ted Cruz (R-TX) and is looking at running in the 2020 Presidential race, is holding a counter-rally, as he is calling for open borders, and allowing anyone to flow into the United States unimpeded by security! In addition, NBC News reported that California Governor Gavin Newsom (D-CA) announced on Monday that he would pull the State’s National Guard from the California/Mexican border, leaving Californian residents completely dependent upon the thinly stretched Border Patrol, who are struggling to hold the line, as hundreds of thousands of illegals are looking to find a way to cross into the United States! Governor Newsom had already announced last week that California would be a “sanctuary for all who seek it”, and now he is calling the massive increase in illegal migration into the United States a “manufactured crisis”, regardless of new information from Gallup that indicates that 1/4 of El Salvador already live in the United States, with 5 Million Latin Americans coming in the next 12 months, and 48 million planning to do so, but waiting to see what happens with the Trump Administration and Democrats, according to Gallup! Therefore, Newsom said he will have the troops be ready to fight wildfires, rather than security! Sadly, Newsom isn’t the only state to defy the President, at the cost of American security! Just last week, New Mexico announced they will be pulling National Guard troops from their border with Mexico as well, and cited the same claim as Newsom… “fear-mongering”. Already, President Trump has deployed 5,000 active duty troops and 4,000 National Guard troops to the US-Mexico border since April of 2018. However, the troops cannot arrest illegals, but instead can only assist the Border Patrol with logistics and surveillance! Now, as Congressional Democrats have announced a deal that guts border security, and as Democrats have vowed to block all real border security proposals that have been requested by the Border Patrol, the Department of Homeland Security (DHS), and Immigration and Customs Enforcement (ICE), the President is left with few options, like Declaring a National Emergency or employing States to help him do his job. After all, he is trying to implement the most important and crucial job of any President, protecting the American people and National Security!